Arthur Alfred Wilson was born in Sydney on 24 October 1920. In 1940 at Petersham he married Josephine Ellen Holland. Arthur Wilson was living at Leichhardt when he enlisted in the Australian Army on 14 March 1942. His next of kin was Josephine Wilson. He served as a Private with the 2/32nd Australian Infantry Battalion until his discharge on 4 February 1946. 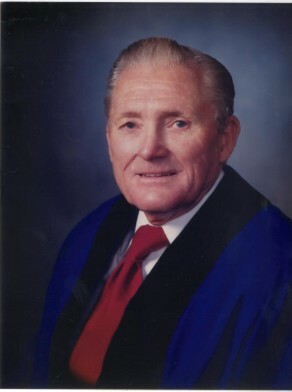 Arthur Wilson was an Alderman of the Municipality of South Sydney from 1974 to 1982. He was a City Council Alderman for Alexandria, 1 January 1982 to 13 April 1984. He was a member of the Finance and Industrial Relations Committee from 1982 to 1984. Wilson was a member of the Australian Labor Party.